Hi, I just took the plunge and bought a Shakuhachi. I decided that I would get it as an ornament for my bedroom and mount it on my wall, aswell as slowly learning to play it, I got a black bamboo one which i thought would suit my room and so that's how I 'took the plunge' as I don't think i could of justified buying it just to learn to play alone yet. I'm practicing Zen meditation at the moment, and When i found out that there was a sect of Zen buddhism which used the Shakuhachi as a form of mediation, I became interested, becauase i also love the zenlike sound of the shakuhachi, and am allready into making music on my pc with virtual instruments. Anyway, Please could someone suggest a book or manual for a begginer? preferably something not too expensive. I doubt that i'll be able to find a teacher where i live, but would probably like to find one in a year or 2. I'd like to learn the Zen meditation pieces aswell. it's a 'wide bore'. not sure if that's good or not. Christopher Yohmei Blasdel, a master Kinko player, has a good starter book called The Shakuhachi: A Manual for Learning, which also has a history of the Fuke Zen sect of komuso players in it. You can find it at Monty Levenson's website www.shakuhachi.com; I think the new edition comes with a cd as well. Thanks for the suggestion, I think i'll get that one! I might suggest rather than pay for an instructional book take a lesson with a teacher - in person or online. It will be about the same cost and what a big difference it has made for me. This has been far more helpful, inspiring and useful than any of the books I have purchased. Even if your flute is not 1.8 and student quality there are teachers who will help you. hmm. Good idea, but then after the hour lesson i'd be on my own, with no material to practice.. but I know what you mean, it would be better initially, but i suppose i would need a few lessons rather than just one. I think i'll still go with the book for now though. And maybe get a lesson or 2 later. Does anyone know which is better for a begginer wanting to learn Honkyoko out of these 2 manuals: Shakuhachi: Japanese Bamboo Flute by Koga, or The Shakuhachi: A Manual for Learning by Christopher Yohmei Blasdel? I want to find a teacher, but I only live in a small village in England so it's pretty unlikely at the moment. I want to travel to Japan, possibly to live there for a bit at some point, and learn Zen and Shakuhachi. 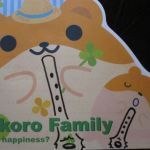 I'd also like to add that although i'm mainly interested in the Honkyoko side, I'd also be interested in the more musical playing- though my flute is an all-natural one. You won't like this, but forget about the Honkyoku for the time being. Listen to it, yes; a lot. Unless you listen to it (a lot), you will not internalize it enough to be able to play it, much less 'understand' it (which is an arguable construct at best...it may not be meant to be understood). Content yourself for now with learning how to play the instrument. Romantic as this may seem, this is not done, either well or poorly, by approaching Honkyoku. Books are fine, and Chris Blasdel's is as good as they get, but the best book on the planet won't be nearly as much help getting you started as one or two lessons with a live, competent teacher, and online lessons work fine. At best, books are supplemental to lessons. As to having 'nothing to do' after the lesson, nonsense. There is the wonderful phenomenon of email attachments, remember? And even if you took only one (well done) lesson, with no other learning materials, you'd still have plenty to do. Since you are somewhat isolated, I'd put some effort into getting an audio/visual setup for your computer so you can get some lessons via Skype (which is free). hmm. Good idea, but then after the hour lesson i'd be on my own, with no material to practice..
Not if you have a good teacher. A teacher will always give you material to work on on your own. There are loads of approaches to teaching/learning shakuhachi. I learned honkyoku from day one with my teacher in Japan. There are several fractions of shakuhachi teaching only honkyoku. Whether I recommend that or not is another subject. But it is done! Where abouts in England do you live? I would like to second edosan and Kiku's comments about work to do after lesson. I spent my first six months practicing one song, kimi gayo, which is half a page long. I also practice a one page note chart...every day, for six months. For the six months after that, I have been practicing two pages of songs...rokudan and kuro kami. My point is that for over a year now, I have been learning about four pages of material, with weekly lessons. I've probably had 40 lessons by now. And, in my opinion, I'm still moving too fast for comfort. Once you have a lesson with a teacher, you will get a tiny glimpse of the enormous concept called, "what I don't know about the shakuhachi" and one page of notes can become a six month challenge just to practice on. I found I couldn't practice until I got a teacher even tho there is a lot of material that can be bought to practice. I don't mean to trash any enthusiasm that you have but the problem with asking questions is then getting advice but in the end it all depends where you want to go and the road you wish to take to get you there. Hi Kiku, I live near Lancaster, Lancashire in the North West. Yes, books, I started on that path too. Got some very good books and materials. They are all sitting on my bookshelf now. I have skype lessons twice a month with a very good teacher. There are so many good teachers to choose from, technology can bring them all to me so easily. My books are untouched. Maybe one day I'll use them to compliment my lessons. But in the meantime my teacher gives me more than enough to work on. As stated above, one piece can be lots to work for months and months and months. Good luck on your journey, may it be long and meaningful. We could meet up once to get you started if you'd like. I live in Islington, London. thanks all for your comments, certainly given me some thoughts. Kiku thanks for the offer, I might take you up on that when I next go to London. But it probably won't be for a few months atleast. I don't get it what does that mean? you can check out my Folk Song Book/Playalong . I love that netsuke on your book cover. Where can I get one and what is it of?It is probably a rare ivory netsuke though I would imagine. Google 'netsuke' and have a look around. You'll find it. Edosan. You wouldn't happen to know what it is called. Would ya? There looks to be a lot to go thru. Gee, what a bummer. Go through it. Do you good. OK, I give. It's called Fukurokuju (God of Wisdom...NB: the big cranium). I extracted it from the background for the cover.